She steps out of room 5 into a bright, hot morning, unseasonably hot, just as the weekend at the beach had been, but at least there the breeze from the ocean took the edge off. People said how lucky it was, getting such a hot day in early June, when the water is too cold for anyone but the kids. School not even out yet, lines at the most popular restaurants were manageable. Lucky, people kept saying, as if to convince themselves. Lucky. So lucky. Is there anything sadder than losers trying to convince themselves that they're fortunate? She used to be that way, but not anymore. She calls things the way they are, starting with herself. When Gregg had started talking about a week at the beach, she had assumed a rental house in Rehoboth or Dewey. Maybe not on the beach proper, but at least on the east side of the highway. Sunburn is deeply informed by classic noir novels and films, from the overall tone to specific plot points, but its setting in the 1990s make it feel like a perfectly blended mix of the old and the new. 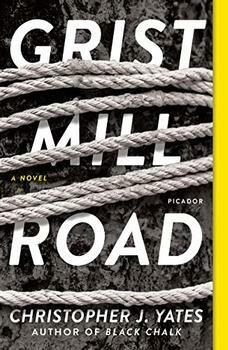 Noir offers a rich combination of dire circumstances and tortured characters, and Lippman has built on classic formulas, incorporating more contemporary storytelling techniques and creating in Polly a character who goes way beyond the femme fatale trope. (Reviewed by Norah Piehl). Starred Review. This is Lippman at her observant, fiercest best, a force to be reckoned with in crime fiction. Starred Review. Modern noir at its best, it will delight old-movie lovers, satisfy suspense readers, and reward Lippman's legion of fans. Starred Review. Ingeniously constructed and extremely suspenseful, the novel keeps us guessing right up until its final moments. Lippman is a popular and dependable writer, and this homage to classic noir showcases a writer at the height of her powers. Starred Review. You can tell how much fun the author had updating the classic noir tropes, and it's contagious. Plotty, page-turning pleasure. 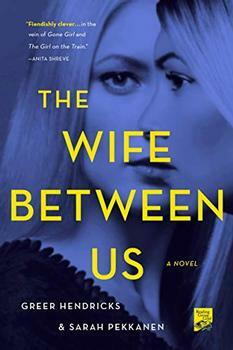 Another extraordinary novel from Laura Lippman - full of just-one-more chapter, stay-up-late suspense, but packed too with nuance, subtlety, observation and humanity. Lippman is a natural storyteller at the height of her powers. At one point in Sunburn, Polly recalls having gone to a film series back in Baltimore, a showing of several films grouped under the title "Raising Cain." At the time, she didn't know what that meant, but savvy readers will pick up on Lippman's reference to her fellow Baltimorean James M. Cain, author of influential noir novels, several of which were turned into even more memorable films. Several of these works, especially The Postman Always Rings Twice, Double Indemnity, and Mildred Pierce, directly influence Sunburn's language, tone, and even plot points. Perhaps after reading Sunburn, readers will be inspired to check out the classic films and have a "Raising Cain" film fest of their own!